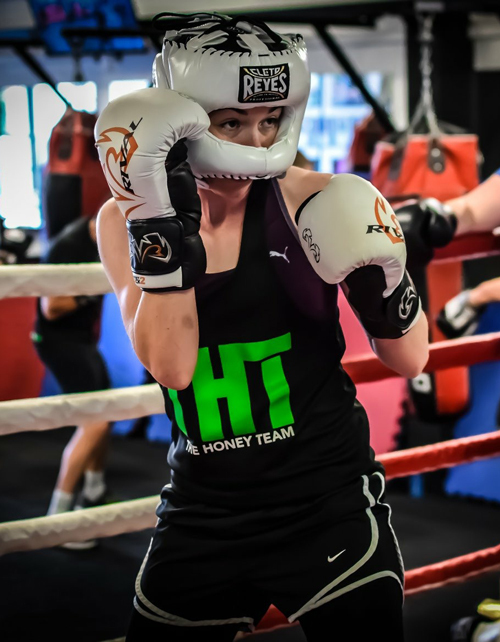 Here at Honeys Boxing we understand that walking into a gym for the first time can feel daunting, this is why we make your first experience here as comfortable as possible. 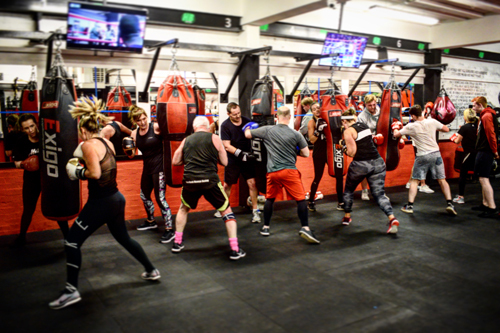 Doing our boxing induction class ensures that you receive the correct training prior to entering our classes. This allows us to get a chance to meet you properly before you get started. During the induction you will learn the foundations of boxing technique including; footwork, punches and HB combinations as well as learning how to correctly hold pads and work our speedballs. We will also be covering a range of exercises, this is so we are able to see your form is correct for health and safety to prevent injury. This way you will feel comfortable and confident for your first class. All you will need is a towel and some hand wraps which are all sold at reception. We provide boxing gloves but if you wish to have your own, these can also be purchased at reception. Please email contactus@honeysboxing.com. Once you have had your induction class you are ready to go! 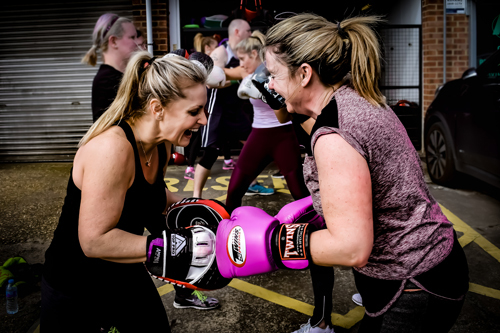 Our Boxercise classes are mixed/Non contact sessions, suitable for all fitness levels.Each class is designed to give you a full body workout, with variety in every session to ensure they are exciting and keep your body guessing. The workouts are focused around interval training to maximise the amount of calories you burn in your 1 hour class. The classes consist of punch bag work, padwork and circuit training. If you are looking to improve your fitness levels, lose body fat % and tone up whilst learning something new then this is the class for you! You will need to attend our boxing Induction class that runs every Thursday at 8pm. This is so you can learn how to hold pads correctly and be confident with all the different punches & HB combinations before attending any of our classes. 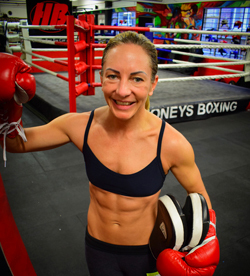 HB provides full contact boxing coaching for all abilities - whether you are a beginner or an experienced boxer looking to get back in the ring. The sessions focus on developing your boxing technique & skills, as well as improving body conditioning and sparring. Our aim is to teach you self-defence and increase your confidence in a friendly, social environment. We also offer 121 Boxing Coaching sessions for those who would like to increase confidence before attending our classes. The junior kids Boxfit class is perfect for staying fit and beating the growing concerns of childhood obesity. Through a range of simple exercises and boxing drills, kids will learn the benefits of staying active, burn off that excess energy and develop qualities such as self-discipline, control, confidence and respect. For kids aged 8-15. Calorie Killer is an extreme full body cardio and resistance workout that will push each individual to their limits. With this class you get out what you put in, making it suitable for all fitness levels. Using a mix of basic body weight exercises to rounds with a range of equipment this class will be sure to give you a great workout. 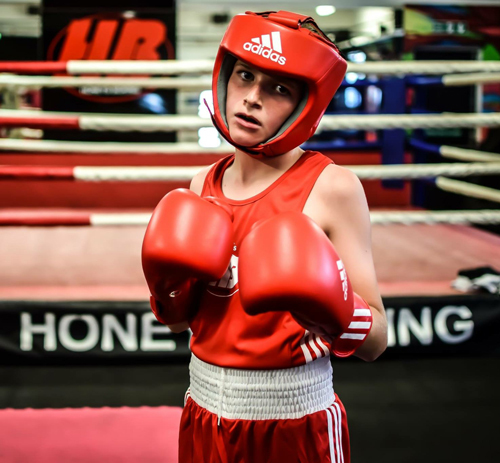 Honeys Boxing offers a coaching class for juniors (aged 10+) of all abilities. This is a full contact class that involves sparring for your Junior. Our Junior coaching class teaches self defence through boxing drills and techniques such as; stance, guard, movement, blocks and counters. This class also includes pad work, bag work, partner drills and shadow boxing as well as including ground work for strength and conditioning. 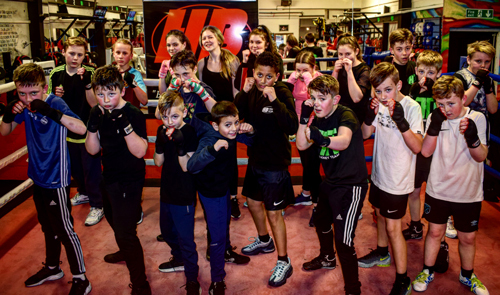 This class will bring out the best in a Junior; it will raise their confidence and interaction levels and allow them to improve their communication skills and respect, all whilst keeping them physically fit and teaching them a new skill. Hand wraps and mounded mouth guards are required. Strength training is a form of exercise that uses resistance to build and tone our muscles. 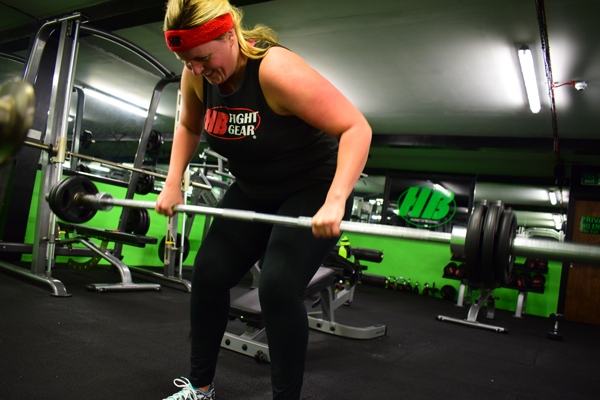 Our strength and toning class involves weight lifting exercises that target a specific muscle group each session. This class is suitable for both men and women of all abilities and experience levels. You will be taught the correct form and technique to perform each exercise, meaning that you are learning whilst having a great workout. If you are looking to build strength, learn something new and achieve a toned appearance, then this is the class for you. Our pads & abs class aims to put you through your paces! In this class expect to hit pads and hold them for your partner. In your pair, you'll be developing your knowledge of boxing while improving your technique, enhancing your cardiovascular endurance, and burning calories! 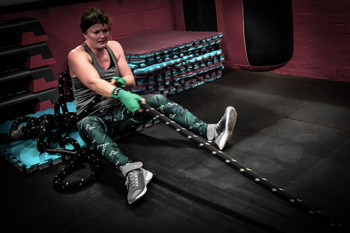 And if that's not enough for you, the class also includes an abs blast that utilises a variety of ab exercises aimed at toning and strengthening your core, providing you with a great overall workout.